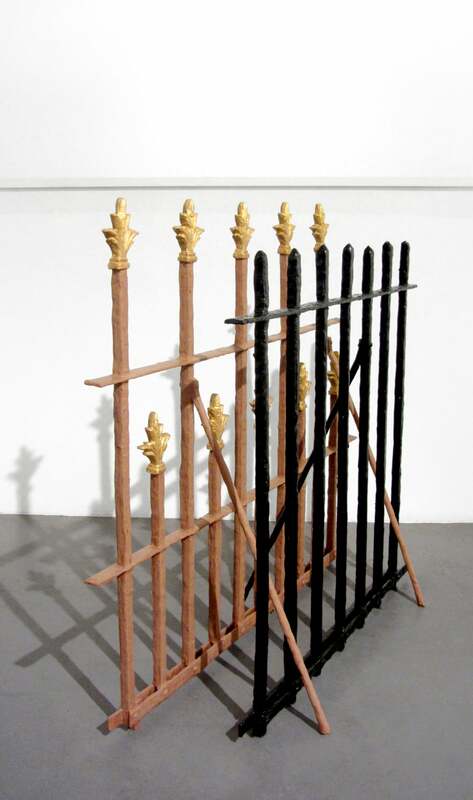 CUE is honored to present No Your Boundaries, a solo exhibition of work by Tamara Johnson. 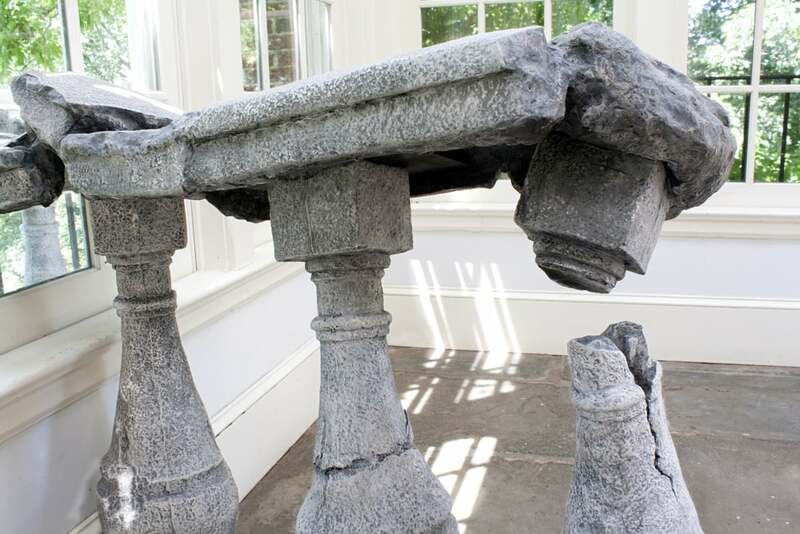 With sculpture and installation, Johnson transforms familiar objects into fossils of the real. 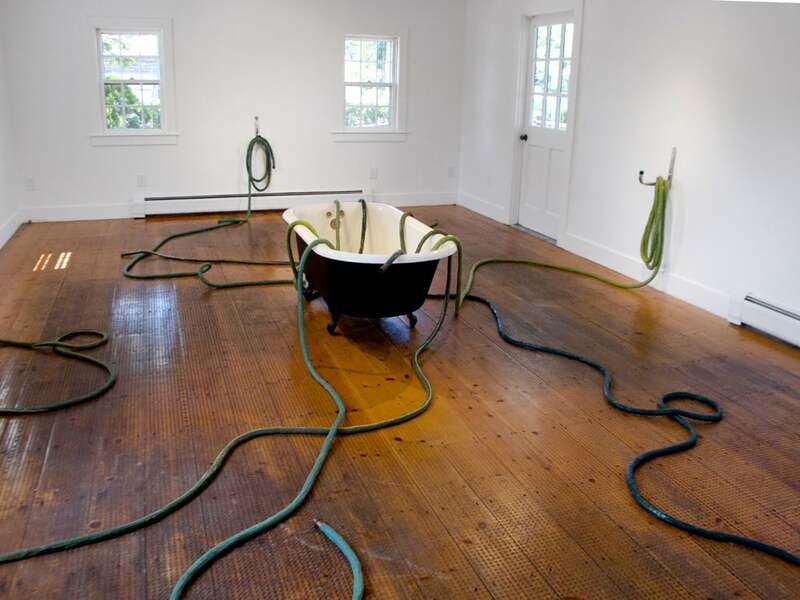 Fixtures of the home, such as garden hoses and fences, break from their utilitarian functions to wilt, slither, and pose in the gallery space. I work to tease out potent meaning from overlooked fragments of the home, ordinary nuances of exterior architecture and un-monumental mishaps of a place. 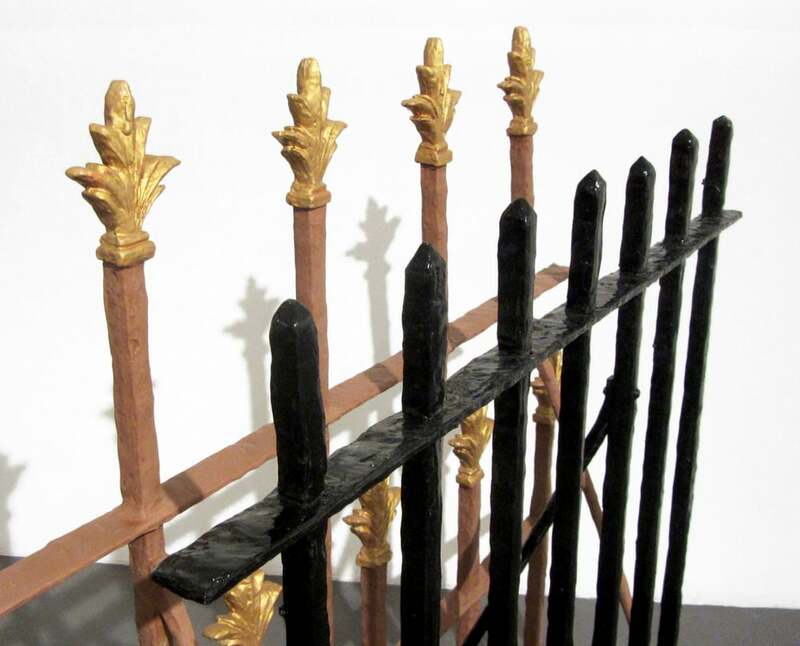 Through sculpture, performance and installation, my work utilizes a wide range of materials—from pigmented silicone rubbers to concrete—to recreate underutilized objects and situations into venues for participation and contemplation. 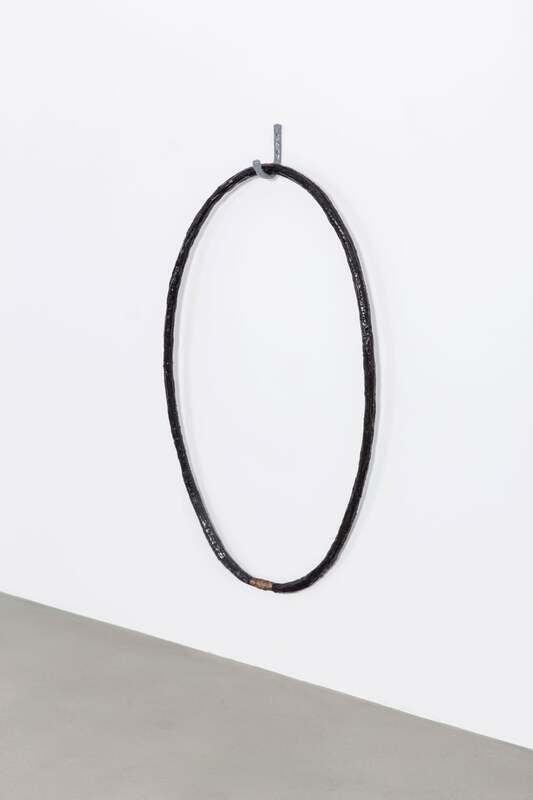 Always teetering on the border between the tragic and humorous, my work takes what we know as familiar, such as a water hose, and distorts its function into an uncanny fossil of the real. Tamara Johnson was born in Waco, Texas in 1984. She graduated from the University of Texas at Austin in 2007 and the Rhode Island School of Design with a Sculpture MFA in 2012. Her work is a mash-up of sculptural making, choreographic landscapes and performative actions in the public/nonpublic. Most recently, she has exhibited her work at Wave Hill in the Bronx, NY; Socrates Sculpture Park, Long Island City, NY; The Lot LIC, Long Island City, NY; Judith Charles Gallery, New York, NY; Rooster Gallery, New York, NY; Microscope Gallery, NUTUREart and Black Ball Projects, all in Brooklyn, NY; Newhouse Center for Contemporary Art, Staten Island, NY; CR10 Arts, Hudson, NY; Eastfield College Gallery in Dallas, TX; Find & Form Space in Boston, MA and Philip Bloom Gallery in Nantucket, MA. Johnson’s Backyard Pool, 2014, was honored at the Public Art Network Year in Review 2015. This is Johnson’s first solo show in New York. Support for this exhibition is provided in part by the Foundation for Contemporary Arts Emergency Grant. There are talks of making America Great Again. We hear of Big Beautiful Walls. There are Dreams. Dreamers. American Dreams. There is an American Dream that is dying, we are told. It is on its deathbed, with a pale, white, sunken, lonely face on; awaiting the doctor. Or is it too late? Has the picketed fence given way to the Great Wall? Is the Dream already dead; awaiting another type of dream: resurrection and eternal life? The messengers trumpeting the news are many. They speak in biblical terms and metaphors that are less than precise, leaving us to decipher the meaning behind the symbols. The spectacle is slapstick and abject. It oozes cream cheese frosting. We are once more peering through the cracks of Martha Stewart’s kitchen walls and garden fences. The work of Tamara Johnson is rooted in considerations of American suburban symbolism, its powers and contradictions. With great meticulousness and a singular sense of humor, she seduces, engages, questions. In 2014, at the Socrates Sculpture Park in New York, Johnson created a swimming pool in a space otherwise occupied by a parking lot. Turning asphalt into a vision of leisure, Johnson’s sculpture was only a mirage. All the architectural details of a suburban yard pool were faithfully recreated, but instead of a body of water, the pool’s edges enclosed a green expanse of grass. It failed to deliver on the desires generated by the simple mention of a pool in the city’s summer heat, but it opened up new spaces for dreaming and thinking. At the CUE Art Foundation, the artist pairs two sculptural installations: There is a series of garden hoses that hang along the wall (a family of deformed trophies, absurd, abject, deviant, sensual… I spy: a cream cheese frosting covered hose…); and, in the space, a wood fence and a faux iron railing collide, merge, exchange DNA, and part again. In the process, they’ve lost their ways; they’ve failed to fully enclose. In their uselessness, they are reduced to their ancestral differences. Both are descendants of old American families. The railing hails from England. It lost the gilded spikes of its British cousins but still shares its pretense. Its role is not so much to divide as it is to serve as a status symbol, reminiscent of country estates reduced to 18th century London squares. The wooden fence is from another stock altogether. Less colonial, more colonizing; it bares the spirit of the pioneer settlers; simultaneously dividing, obscuring, enclosing, claiming and protecting. Step into Johnson’s yard, with its props, replicas, prostheses! Laugh at those twisted, corrupt symbols that still hold so much power! Rejoice in the absurd, the frustrating, the tragic before stepping back into reality! Renaud Proch is Independent Curators International (ICI)’s Executive Director, and from December 2009 to March 2013, he served as ICI’s Deputy Director. Prior to this he was the Senior Director at the Project in New York, as well as the Director of MC, in Los Angeles. 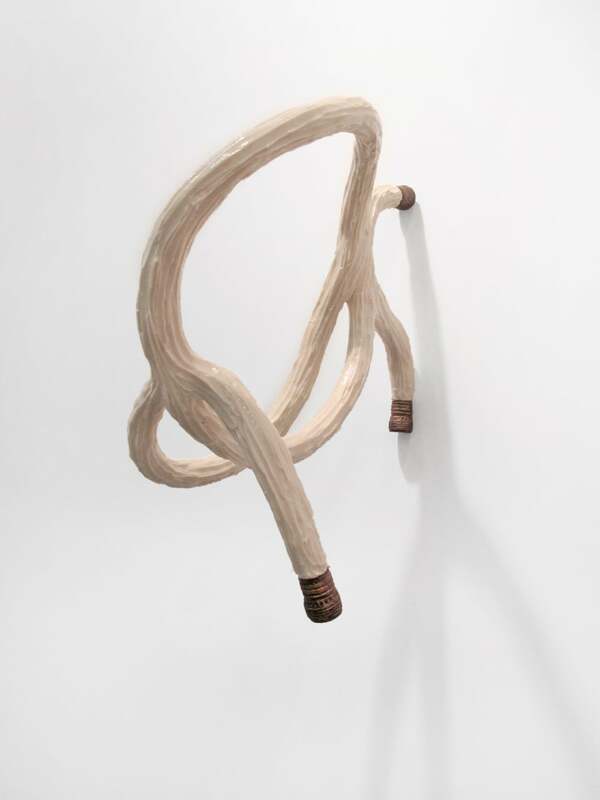 Originally from Switzerland, Proch studied in London, and moved to the West Coast of the U.S. in 2001. He co-founded ART2102 of Los Angeles in 2003; and the backroom in 2005 together with Kate Fowle and Magali Arriola. In 2011, he co-curated with Khwezi Gule a retrospective of South African artist Tracey Rose for the Johannesburg Art Gallery, South Africa, and the Umea Bildmuseet, Sweden, which also traveled to the Nikolaj Kunsthal, in Copenhagen, Denmark. He has lectured at Camberwell College and the Royal College of Art, in London; the California College of the Arts, San Francisco, and Otis College of Art and Design, Los Angeles, in California; Umea University in Sweden; Witswatersrand University, and Cape Town University in South Africa; The New School, and the School of Visual Arts, in New York. This exhibition is a winning selection from the 2015-16 Open Call for Solo Exhibitions. The proposal was unanimously selected by a jury comprised of panelists Cecilia Alemani, Donald R. Mullen, Jr. Director & Chief Curator of High Line Art; Renaud Proch, Executive Director of Independent Curators International (ICI); and Rujeko Hockley, Assistant Curator of Contemporary Art at the Brooklyn Museum. In line with CUE’s commitment to providing substantive professional development opportunities, panelists also serve as mentors to the exhibiting artists, providing support throughout the process of developing the exhibition. We are honored to work with panelist Renaud Proch as the Curator-Mentor for this exhibition.